﻿ Best Marine Fishes Project: Take the Survey! Best Marine Fishes Project: Take the Survey! 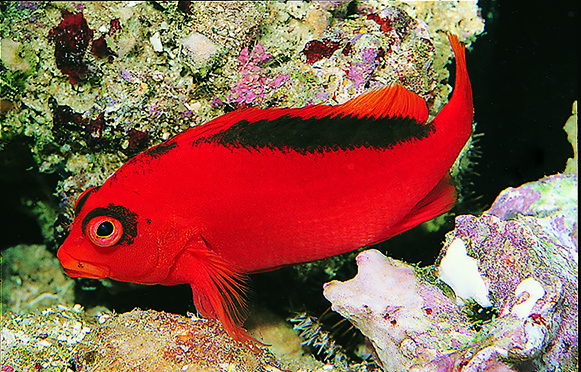 Flame Hawkfish, Neocirrhites armatus. Image: Scott Michael, from PocketExpert Marine Aquarium Fishes. Please Join CORAL Magazine’s Best Marine Aquarium Fishes project. Take our online survey to get your fishkeeping experiences included in the first major rating of species—for beginners to experts. This is a short, 12-question survey that can be completed in a few minutes. Its purpose is to build a list of Bulletproof Species to help new marine aquarists choose the best animals to keep while they build their reefkeeping skills. This list will help beginners pick animals that are most likely to survive and thrive with average levels of care. SHARE YOUR EXPERIENCES — TAKE THE SURVEY NOW!